Titan’s 2018 Black Friday Event! Yes, it’s that time of year again! The holidays are upon us, and this Friday, November 23rd, the entire store is 20% off! 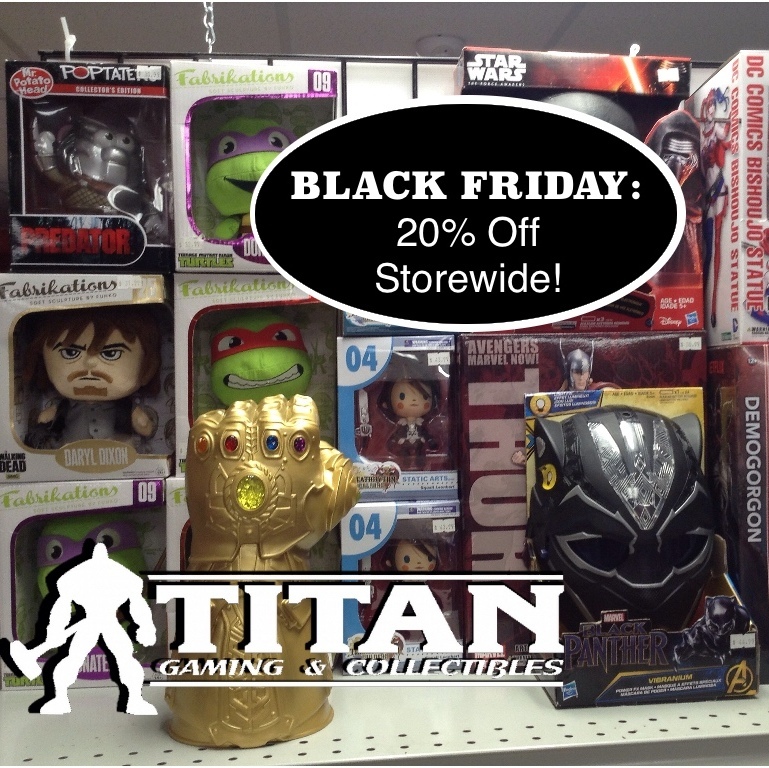 Save on games, cards, comics, clothes and even Titan’s delicious POUTINE! Previous Previous post: Titan is Gamer Central – Tournaments Every Weekend!! Next Next post: Christmas Time is GAME TIME and GIVEAWAY TIME!